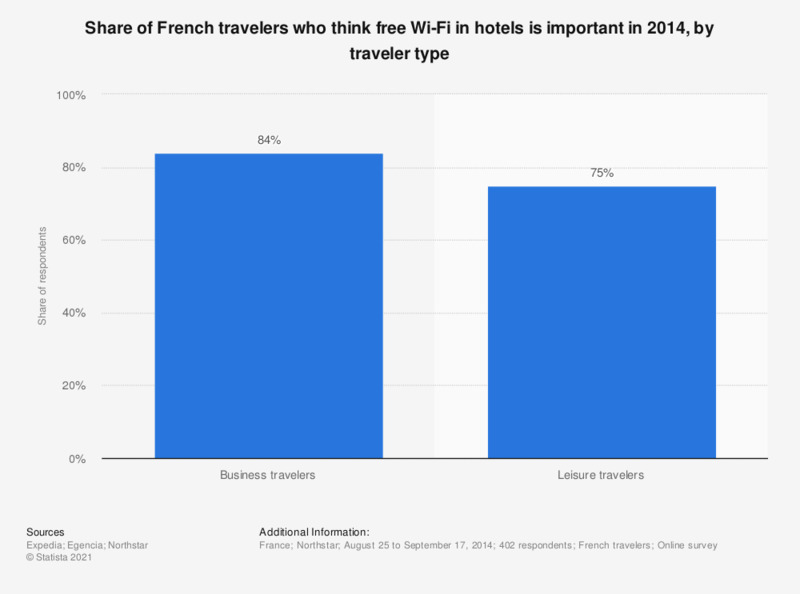 This statistic shows the share of French travelers who think free Wi-Fi in hotels is important in 2014, by traveler type. It indicates that 84 percent of the business travelers considered having free wi-fi in hotels a matter of importance. How important is free internet access when choosing a hotel for a business trip? What do you prefer when you stay at the hotel? How likely would you be to use your smartphone in the following ways?